Discussion in 'PC Hardware and Software' started by TheMightyS, Sep 18, 2012. The internet really does have everything, and it's all available for download without lifting a finger. A series of helpful scripts, all installable in a few minutes, can transform your computer into an automatic media downloading machine. We've featured all sorts of automatic downloaders that grab TV shows after they air and movies as soon as they're released, but you don't have to stop there. You can schedule music, comic books, video games, and practically anything else as a download with minimal effort. In this post, we'll look at how to set up existing scripts to acquire all kinds of media and use a tool called FlexGet to handle the rest. All the tools in this guide work with BitTorrent, which you should set up securelybefore you do anything else. If you want to use Usenet instead, however, you'll need toset up SABnzbd+ for everything to work properly. Your SABnzbd+ username and password, which you'll choose when you set it up (presuming you choose to set a username and password, that is). 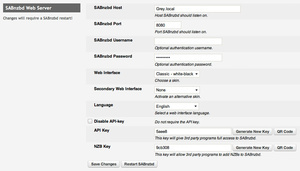 Your SABnzbd+ API key, which you can find in the Config section in the General tab. It'll look something like 5ape87035c49c4b8f461e55f0z9z4z02. A location to hold your downloaded files. Make individual folders for each type of media (e.g. television, movies, music, ebooks, etc.). 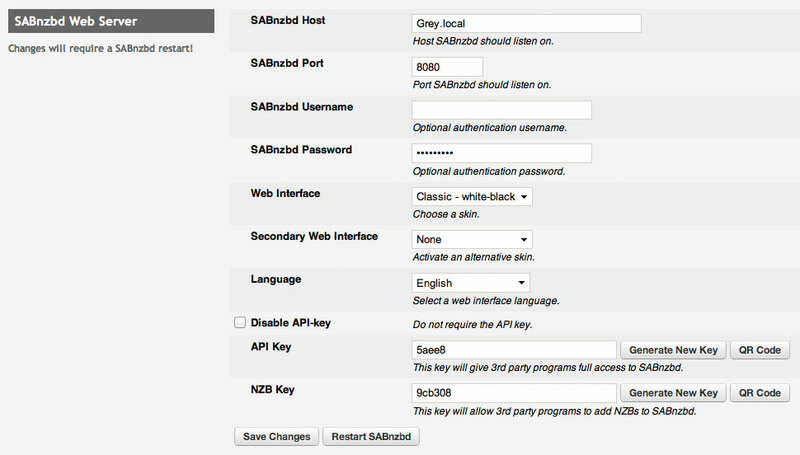 NZB search provider information, such as your username and password and/or API key. Each provider is a little different, so what information you need will vary. Consult ourUsenet guide for more information. If you're on a Mac, download and install Python (if it isn't installed already). With all of that ready to go, it's time to get started. Unzip Sick Beard into a folder and place that folder wherever you want it to live. Run it and you're done with the installation. and press enter again. Cheetah will install in about a minute's time. to grab the latest Sick Beard source from GitHub. If you want to run Sick Beard like an application, just open Automator or AppleScript Editor, create a workflow/script that runs that terminal command, and save it as an application. Search Settings - If you're using Sick Beard to find NZB files to download with Usenet, you'll need to enter your SABnzbd+ username, password, and API key in this section. If you want to download torrents, you'll just need to enable that option and tell Sick Beard where your torrent watch folder is. Search Providers - If you're downloading shows via Usenet, you'll need to configure search providers in this section. Tick the boxes next to the ones you want to use, then select their names in the following section to enter any necessary credentials. For example, NZBMatrix requires a username and API key. If you followed the instructions at the beginning of the post, you should have this information ready-to-go. Post Processing - SABnzbd+ users won't have to configure much here, as it'll handle post-processing for you. You can, however, ask Sick Beard to do some of the work. BitTorrent users will want to configure this to their liking, however, as most torrent clients won't do much in the way of post-processing. Notifications - Unlike the other tools we'll cover in this guide, you probably want to know as soon as your favorite shows have finished downloading. Sick Beard provides hooks for aton of notification services so you can find out right away, using pretty much whatever tool you like. Set up is very easy, so just find your notification app of preference and enter the required information in this section. After completing the initial setup, add the TV shows you want to track from Sick Beard's interface. If you need help adding shows, as the process is a little confusing the first time around, consult our complete Sick Beard guide. Launch Couch Potato and visitlocalhost:5000 to get started. General - Set the IP address and port of Couch Potato's web interface, your username and password, and other general settings. Downloaders - Set up SABnzbd+ and/or your BitTorrent Black Hole directory (i.e. the folder your BitTorrent client is watching) in this section. Quality - Enable and disable the various quality options for downloaded movies (e.g. 720p, BR-Rip, Screener, etc.). Renaming - Set any renaming rules you want applied after a movie finished downloading. The other sections are not required, but feel free to explore to discover more of Couch Potato's features. Once you're done with the configuration, use the toolbar up top to search for a movie, select the desired quality (e.g. 720p, DVD-Rip, etc. ), and add it to your watch list. Repeat this process for any movie you want to track (and download). Couch Potato will take care of the rest. Download the Headphones source filesfrom GitHub. If you're setting up other services mentioned in this post, Headphones will likely have a conflicting port of 8081. Upon running the Headphones.py script you'll be informed of the conflict and asked to choose a new port. You can choose whatever you like, but I opted for 8181. Web interface - Set your IP address, port, username, and password in this section. You can also set other general settings, like how often Headphones looks for new files. Download settings - Enter your SABnzbd+ user information and API key in this section to download via Usenet. To use BitTorrent, just specify your Black Hole directory (i.e. the folder your BitTorrent client is watching). Search providers - Set up NZB search providers if you're using Usenet. You'll need the relevant credentials gathered at the beginning of this post. For BitTorrent, just select the trackers you want to use. Quality & Post Processing - Choose the quality of the files you want to download by default and enable any post-processing functions (e.g. adding lyrics and album art). Once you've finished configuring Headphones, just search for the band you want to track using the toolbar up top. When you find what you want, add the band to your watch list and Headphones will track them. Repeat this process for all the bands you like. Omniverse automatically downloads comic books. Gamez automatically downloads video games. If that list doesn't cover everything you need,FlexGet provides a way to make your own, custom downloaders. It reads RSS feeds, CSV files, and HTML pages to find torrents, NZBs, podcasts, or whatever you're looking for, and feeds them to any downloaders that have watch directory support. This includesrTorrent, uTorrent, Transmission, sabNZBD+, nzbget, pyLoad, and more. All you're required to do is install it, tell it where to look, what to look for, and what to do with the files it finds. The installation process varies, so follow the instructions for your operating system. Install Python (if you haven't already). The first line says "test task:" to identify that this is a task called "test." The second line identifies an RSS feed for FlexGet to monitor. Next, a list of series tells FlexGet what to look for inside of that RSS feed. In the case of "Another Good Show," you'll notice that "quality: 720p" is designated to tell FlexGet to only look for 720p files for that show. Finally, a download directory on the local machine is specified. Any files that match the criteria specified in this task will be placed in that directory, which is watched by a downloader (such as SABnzbd+ or uTorrent). The format is pretty simple to follow, but it will vary based on what you want to create. We can't get into every little option without writing an entire manual, and the creators of FlexGet already made one. Be sure to consult those configuration instructions for more help on creating your own config.yml file for FlexGet to use. You will, of course, want to replace "nameOfTask" with the name of a task in your config.yml file. If you set up everything properly, that task will run and you'll have your own, custom automatic downloader!